spend time in ineffectual activity. Having recently spent three months painting like a madwoman, I suddenly found that I couldn't paint at all! For 2 weeks I mostly slept, catching up on sleep after all the late nights, or should I say early mornings? Then of course, I thought I'd get right back into painting, especially as I have a deadline to meet. But it didn't work like that, somehow I've found it really difficult to get started again. So I've spent time catching up on other things, which have taken a backseat for the last two and a half years. Having spent a whole week faffing about with paint and paper, I decided that painting small things might be a better idea. 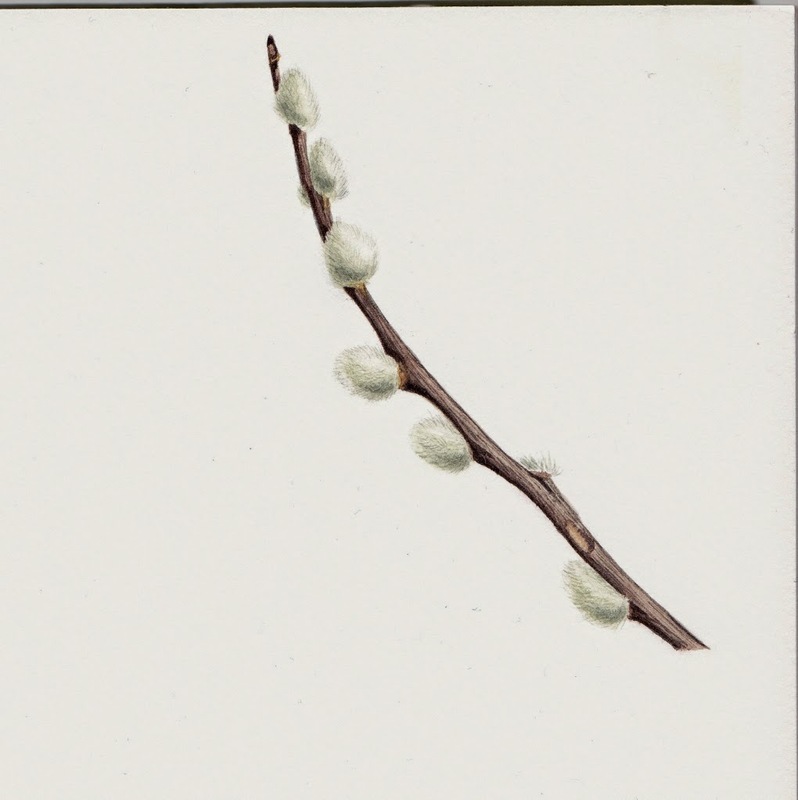 So first thing to be painted was the top few inches of a willow branch with silky catkins. I just love the silky aments, which remind me of cat's paws. Then, out came the small pieces of paper, about 3inches by 4 inches. And after three attempts I have something I don't feel like throwing away - at last! and about time. 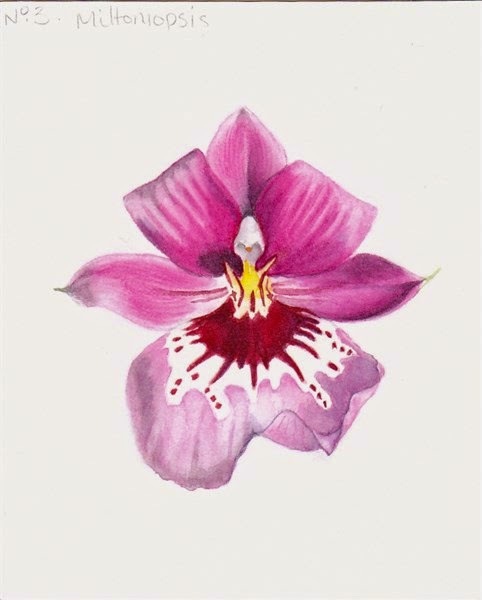 A Miltoniopsis flower, which has waited too long for me to get painting and is now beginning to fade to purply hues. I'm liking painting the small things, it may become a regular exercise, just to keep things interesting.